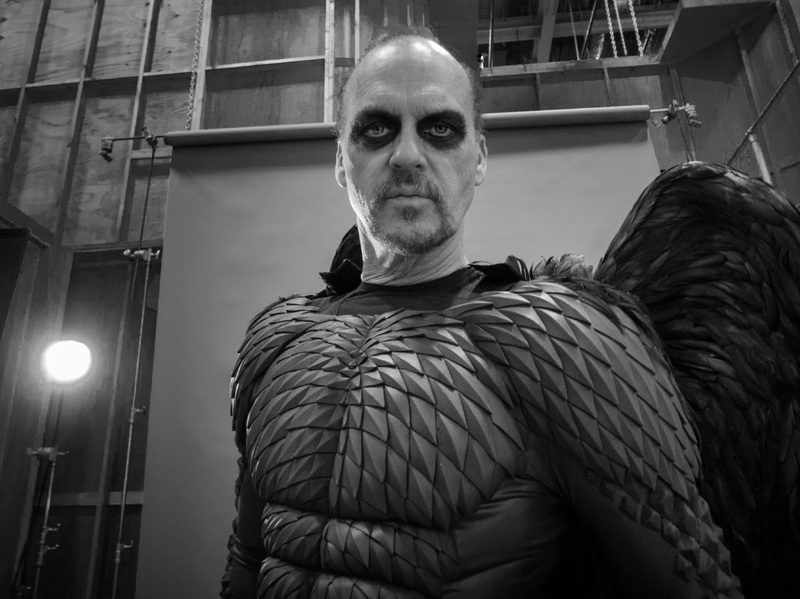 Filming this year’s Award Winner for Best Picture “Birdman” for that also won Best Director (Alejandro González Iñárritu) was one of the most challenging and rewarding experiences of Michael Keaton’s (also this year’s Oscar nominee for Best Actor) career. Along with a very impressive cast, Keaton stars as Riggan Thomson, an actor who once starred as Birdman, a comic book superhero, which brought him fame and wealth but damaged his credibility whilst inflating his ego. He was a huge star but now that star is on the wane. Keaton himself played The Caped Crusader in two Batman films for Tim Burton. Thomson is trying to ignite his flagging career and regain some credibility – and impress his troubled daughter Sam (Emma Stone) - by staging a Broadway production of a Raymond Carver short story, What We Talk About When We Talk About Love. Riddled with doubt and insecurity, Thomson’s fears are articulated by his alter ego – the Birdman character who appears, in full costume, to pour scorn on his efforts as a theatre director and actor and tells him, in no uncertain terms, that he is still a movie star who shouldn’t be wasting his time on a play. When he loses his leading man in a bizarre accident, Thomson decides to recruit bad boy actor Mike Shiner (Edward Norton) who is undeniably talented but insufferably arrogant and only adds to his insecurities as opening night approaches. Shiner also flirts outrageously with Thomson’s daughter Sam (Emma Stone) causing even more tension between the two battling alpha males. Zach Galafianakis – usually to be found in much broader comedies like The Hangover – is pitch perfect as Riggan’s long suffering agent, Jake, who warns him that he’s in the last chance saloon and that his play needs to be a hit to save his career. Andrea Riseborough is the neurotic Laura, an actress who is in a floundering relationship with Riggan who is less than thrilled with his reaction when she tells him that she might be pregnant. Naomi Watts is Lesley an actress who, just to add to the mayhem, is in the play and in a difficult personal relationship with Shiner. Amy Ryan plays Thomson’s ex wife, Sylvia. Catch “Birdman’s” return engagement on March 4 at the following theatres: Robinson’s Ermita, Robinson’s Galleria, Metro East, Gateway, Powerplant, Greenhills and Festival Mall.